Fresh chorizo and stuffed dates, or as we think about it: rethinking folklore about watching sausage being made. I’ve seen how sausage is made… And it’s not that bad. OK, I didn’t go to the “sausage factory,” where, I’ve no doubt, the process is much, much more stomach churning. But watching my husband make chorizo sausage from scratch was in no way traumatic. And the smell of him cooking up little “tester patties” was actually kind of appetizing. There, I said it. Sausage making can be appetizing. Indeed, I’ll go further. You should try to make sausage, too. Why? Well, I’ll give you three good reasons: Delicious southwestern-style fritatas, hearty corn bread and chorizo stuffing, and to-die-for chorizo stuffed dates. All of these tasty, tasty items are drastically improved when you bring your own homemade chorizo sausage to the party. Consider: Rather than ripping open the shrink-wrapped styrofoam package of pallid, speckled links, you could make — in your own kitchen — fragrant, delicious, crispy, and spicy pork sausage. The smell of fresh cinnamon and the bite of potent spices could cause your nose to twitch. 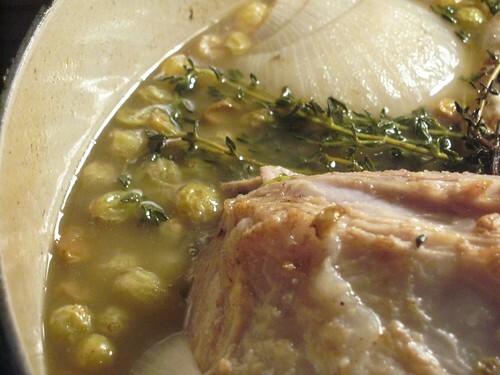 The sound of pork fat hitting pan could cause your stomach to growl. And the smell of the chorizo sausage browning in the pan could cause your mouth to water. The best part? Not only is making chorizo sausage not gruesome, it’s also not hard. Grind and combine, baby. Plus, none of these recipes call for linked sausage, meaning you can forgo wrestling with slimy intestinal lining or other equally slippery casing alternatives. Sound good? Don’t forgot to cook me up a tester patty. I’m willing to be your guinea pig! The first time I had fresh sausage was as a kid. My father’s family were farm folk in eastern North Carolina and grew the regions staples—pigs and tobacco. This meant, at least once a year, my father got fresh sausage from the farm. And, no offense to Jimmy Dean and Bob Evans,but to be honest, there really was nothing better. There was something about the quality or perhaps the novelty that made such a positive impression. So fast forward a few decades, the first thing you learn when you get serious about cooking is controlling quality. 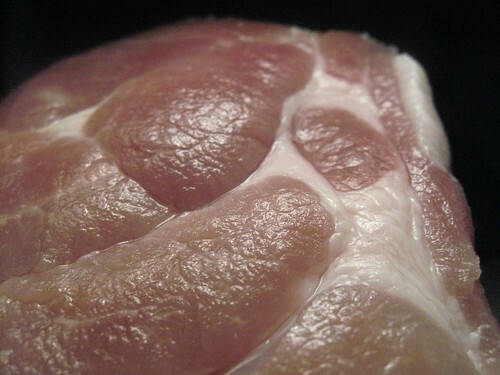 The reason the great restaurants produce the greatest food is that every ingredient is high quality. 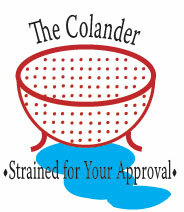 And every step thereafter, from making stock to plating, is about enhancing the underlying quality. If you take this to the level of Thomas Keller at the French Laundry or Patrick O’Connell at The Inn at Little Washington, then it becomes obsessions that leads to legendary greatest. Or if you are me, it’s why you make chicken stock a couple times a month, go to various farmers markets around town or make my own sausage then write a post about it. The chorizo is great. You could eat sausage alone, but it isn’t a hot dog or bratwurst. To me, it’s a component and taking control to build a better result. 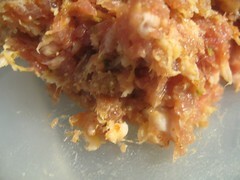 As my wife pointed out, there are at least two other posts on the blog where chorizo is used. 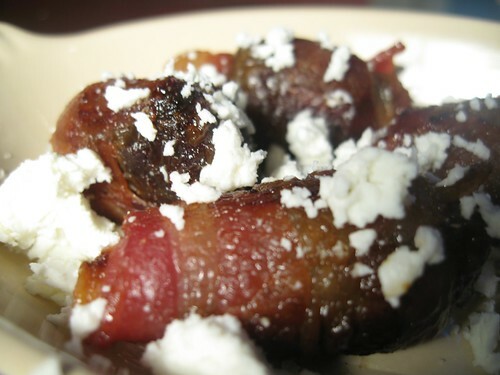 Today, I add another recipe here, a cocktail party classic—chorizo stuffed dates. So while, “making sausage” has it’s negative connotations, if you have the inkling, do it yourself. It’s actually fun. Before I quit writing, some technical information about the recipe. First, this is fresh chorizo. Aficionados of chorizo can do dissertations on the subject. In some regions, it’s a dried sausage like salami or pepperoni. In others, it’s a loose sausage. It can or can’t be smoked. In general, I’m not remotely claiming this as a definitive or authentic recipe. 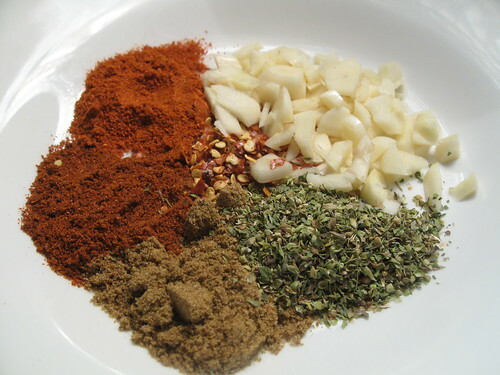 This is simply my recipe which tends to be a bit on the spicy side. Second, I got into sausage making right about the time I started culinary school. It began with Brian Polclyn and Michael Ruhlman’s great book, Charcuterie. While this recipe is significantly different then the one that can be found in their book, it would be a lie if I didn’t acknowledge their influence. If you enjoy this sort of thing, I would highly recommend their book. My copy is getting beat up from going on and off the shelf so much. Third, this makes quite a bit of chorizo. It keeps easily for up to 1 week in the refrigerator. It also freezes well. I don’t put mine in cases to make links, but Ruhlman and Polcyn recommend hog casings if you want to follow their lead. Finally, you need to work clean and cold when you grind meat. This means I clean my grinding equipment before and after every use. It also means that everything gets placed in either the freezer or refrigerator between steps including the meat, the grinder, and the bowl that catches the meat. 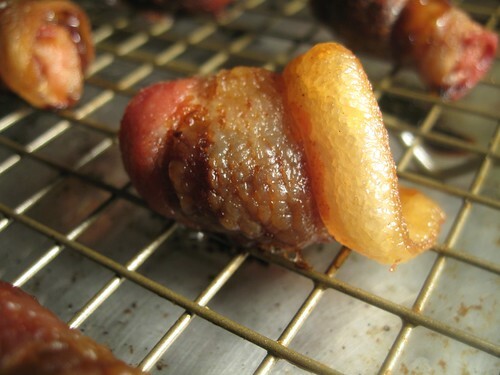 If you don’t keep things cold, you risk the fat rendering out and loosing flavor. 1. 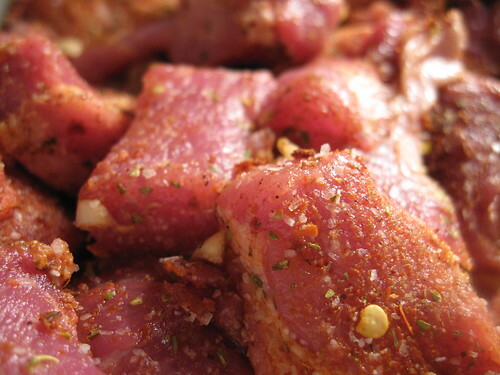 Toss together diced pork, spice mix, salt and minced garlic making sure that everything is evenly coated. Cover and refrigerate for at least 30 min. 2. Clean grinding equipment and bowl. Place equipment in the freezer (or keep cold) until ready to grind. 3. 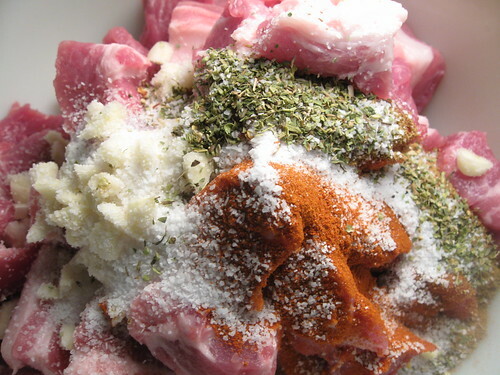 Grind the meat being sure to scrape the bottom of the bowl to catch any straggling spice mix or garlic. When using the Kitchen-Aid grinder attachment, I use the small die (the screen in front of the grinding blade) on low speed for best results. 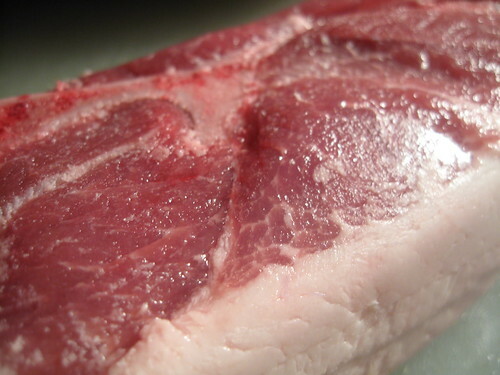 If the meat is no longer cold, cover and refrigerate before proceeding. 4. 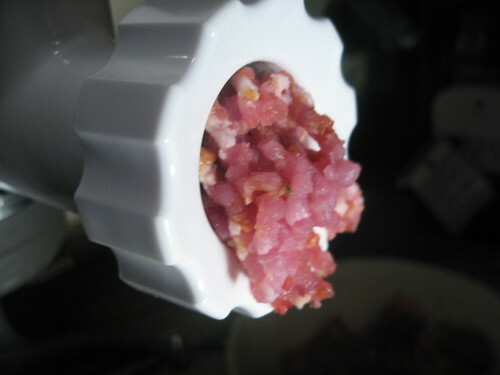 Using a stand mixer with the paddle attachment, add the ground meat and tequila to the bowl. 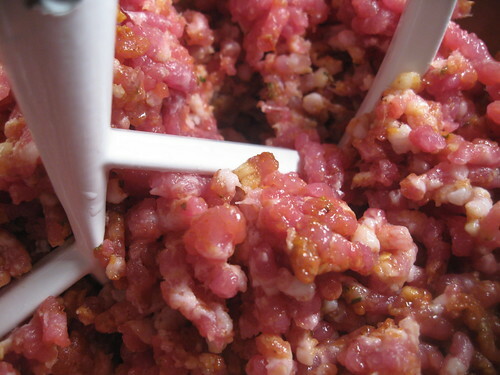 Mix on medium speed until the meat is a pâté consistency. This should take about 1 minute. 5. In a small sauté pan over medium heat, place a small, quarter-sized patty of the sausage. Brown on both sides. Taste and adjust the seasoning as needed. 6. Once done, move to a clean container, cover tightly and refrigerate. 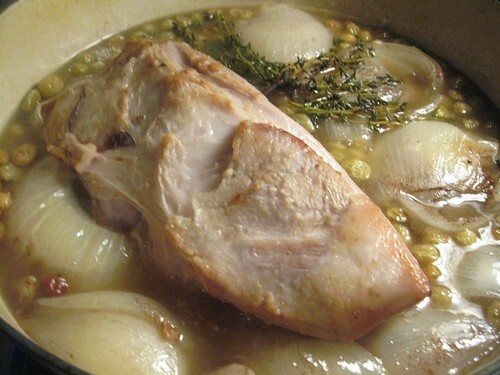 Should keep for up to 1 week in the refrigerator, or can be divided up and part placed in the freezer for later use. 2. Slice each date along one side using a paring knife. 3. 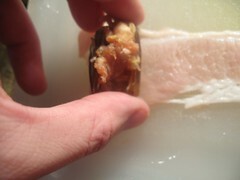 Taking a pinch of chorizo, press into the pocket formed by opening the date. 4. Stretch each slice of bacon out on a cutting board. This is the key as it avoids the need for toothpicks. The bacon should be about 1/3 larger then when pulled from the rest of the slices. 5. Roll the date until date is covered and the bacon comes around about 1 1/2 times. Cut from the slice. You should get 3 to 4 dates per slice of bacon. 6. Place on baking sheet with a rack. Bake for 30 min or until the bacon is golden and fat rendered. Rotate halfway through cooking. 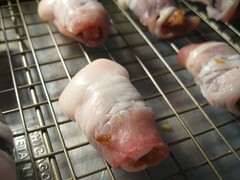 It’s important your baking sheet has a lip on all sides as there will be a good pool of fat on the bottom of the sheet. 7. Plate, sprinkle over with goat cheese. Serve warm. Today’s recipe is striking a blow for feminism! Despite popular culture’s insistence that women don’t belong anywhere near the stove or oven, women can cook! They are more than capable in the kitchen. Of course, I am being facetious. 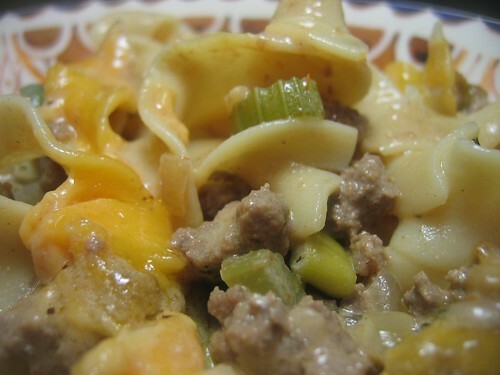 But today’s recipe is a flip of our usual things here at MHC. 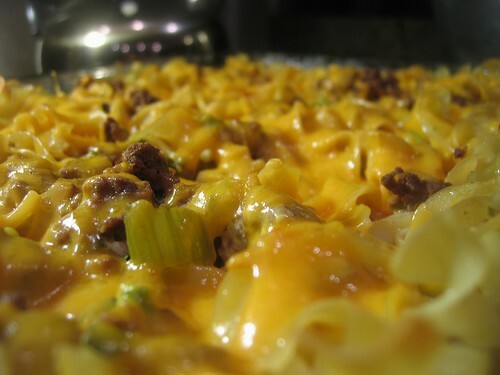 I, the husband, will be introducing one of my wife’s recipes, well not hers per se, but one that I don’t even attempt because she is its master—Paul Prudomme’s Beef Noodle Casserole. For those of you who don’t know our story, my wife was the one who got me into cooking in the first place. When we started dating, we were both teenagers and seniors in high school. She is the oldest of three, and her parents, both very successful science types, had let their daughter take over the task of cooking dinner every night for her family. It was by helping her to peel vegetables and chop things, and sitting down to dinner several nights a week with them for a meal (to my own mother’s consternation) that I learned the value of food as a bonding experience. Flash ahead 12 years today, and the roles are now reversed, but that doesn’t mean my wife can’t hold her own in the kitchen. The girl can really make things happen in there. So I hope you enjoy our culinary version of a Sadie Hawkins dance. Read the rest of this entry ? The New York Times has an interesting story about two studies released this week regarding how much fish people should eat. A Harvard Public Health study argues there are great cardiovascular benefits to eating fish at least twice a week, while a National Institute of Health (NIH) study released on the same day believes there ‘may’ be benefits. This is fascinating as it delves into underlying methodology and debate. On a side note, it is just one more set of contradictory studies about food that leaves the consumer scratching their head. This story comes from the longhorn state about, well, longhorns fed on grass. It’s a brief look at one family farm and their small heard of cattle eating just grass. I find it interesting because of the increasing effort to draw lines between similar types of food. Here in DC, Grass fed beef is showing up increasingly on menus, and it strikes me as this decade’s ‘free-range’ chicken. I found it interesting, though I think the writer doesn’t ask some of the big questions and enjoys the agrarian romanticism of this way of growing. The Washington Post has a neat piece about two new cookbooks from DC chefs. 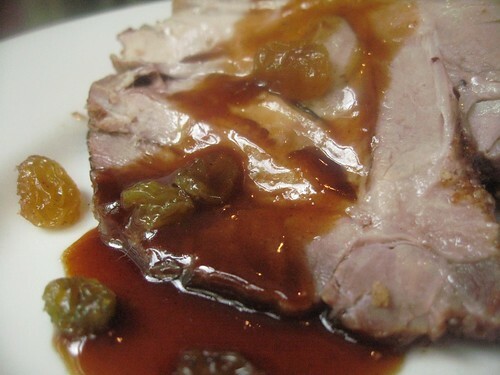 One is from renowned French chef, Michel Richard. Owner/Chef of Georgetown’s Citronelle, Richard is an institution and his restaurant routinely shows up on “Best” lists locally and nationally. The second is from a rising Italian star, Fabio Trabocchi. Maestro, his restaurant in the Ritz-Carlton at Tyson’s Corner, is considered another great eat. It’s a nice story, but don’t miss the links to their recipes and Q&A with both chefs. Washington Post—Focuses on the series new host, Padma Lakshmi, and what they consider a vibrant screen presence. Boston Globe –A nice little promo for tonight’s show and provides brief bios of the contestant. It’s a good cheat sheet to get you started. These are good times for cookbook lovers. In August, Bon Appetit published its long-anticipated cookbook. On Halloween, Joy of Cooking will release its 75th anniversary edition. Both have served as staples for many home cooks. 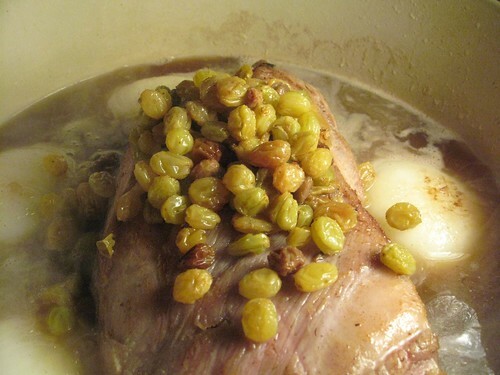 This article recalls Joy of Cooking’s roots and how it has continued and changed. It also provides a look into how one cook uses the new copy. Michael Pollan, author of The Omnivore’s Dilemma: A Natural History in Four Meals, writes an interesting article that addresses some of the complex issues raised by the recent E. coli outbreaks. There is a great deal here, from the practice of irradiating to the influence of political interest groups. You are currently browsing the archives for the cookbooks category.